University Grants Commission today directed all the Central Educational Institutions to implement the 10 per cent reservation for the economically backward in the general category. UGC sent a letter to heads of Central Educational Institutions today regarding 10% reservation. 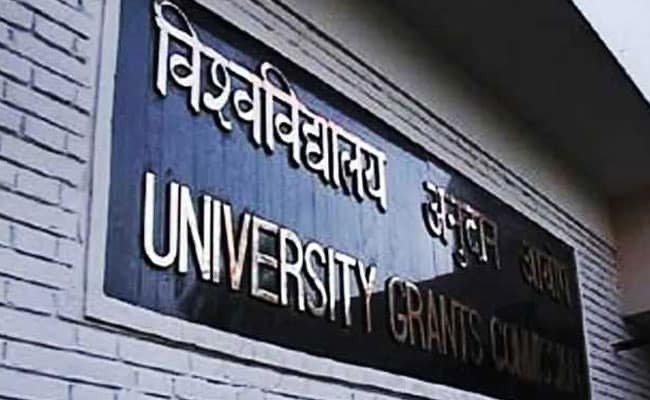 Higher education regulator University Grants Commission or UGC today directed all the Central Educational Institutions to implement the 10 per cent reservation for the economically backward in the general category. In a letter regarding the implementation of reservation for Economically Weaker Sections (EWSs) for admission in Central Educational Institutions, in accordance with 124th Amendment of Constitution of India, the UGC has also asked the institutions to display the scheme details on the website of the institution as soon as possible. "You are further requested to furnish the seat matrix, programme wise, along with possible financial requirements to UGC before 31st January, 2019," the circular added. The UGC letter follows the Office Memo sent by Ministry of Human Resource Development (MHRD) yesterday to heads of UGC, AICTE and NCTE; higher education regulators in various fields. Meanwhile, the MHRD has kept out 8 'institutions of excellence, research institutions, institutions of national & strategic importance as specified in the Schedule to The Central Educational Institutions (Reservation in Admission) Act, 2016' and minority educational institutions from the ambit of the new law. These institutions include Homi Bhabha National Institute (Mumbai), Tata Institute of Fundamental Research (Mumbai) and Space Physics Laboratory (Ahmedabad). The Constitution (124th Amendment) Bill, 2019, providing for 10 per cent reservation in government jobs and educational institutions to the economically weaker sections in the general category was passed by Parliament in its recently concluded winter session. President Ram Nath Kovind has since given his assent to the bill. Uttar Pradesh today became the third state after Gujarat and Jharkhand to approve the legislation which has to be ratified by at least half the state Assemblies in the country.